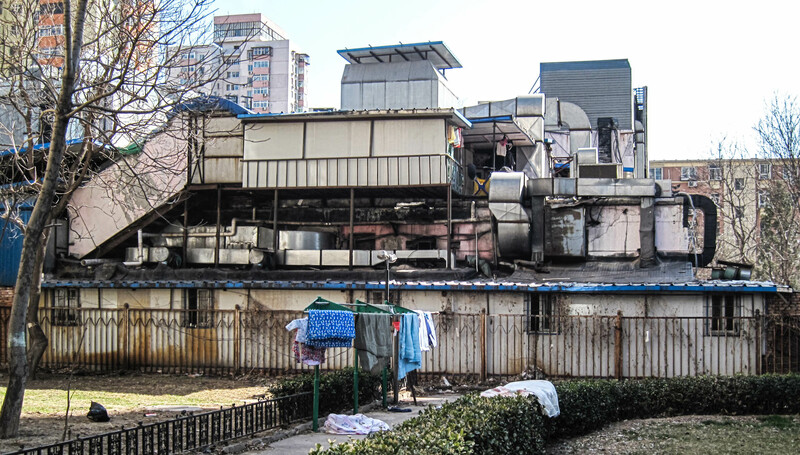 This is a back view of the traditional Beijing restaurant not far from our apartment complex. The front and interior look quite a bit different than the back. The green clothes racks were recently installed by the neighborhood government. During the Spring, they are quite full with quilts and covers. Once again, this is an HDR. I encourage you to click on it, goto the larger version on flickr, and zoom around it. Posted in Beijing Youjian and tagged Asia, beijing, beijing youjian, china, HDR, photography, Photoshop on 2013-03-13 by sujinyan.